Day 2: A hike through the Forest of Artemis to the Grotto of Mary Magdalene on the mountain of La Sainte Baume- a place of timeless wonder and profound meditation. Day 3: Delighting in a French farmers market in the quaint village of Cotignac, an easy stroll to a waterfall with our picnic lunches and a visit to the site where all three members of the Holy Family (Mary, Jospeh and Jesus) appeared to pilgrims over the centuries.In the late afternoon, a French cooking class and then savoring our creation for dinner! Day 4: A ferryboat will whisk us from Cannes across the azure sea to the stunning Ile Honorat. We'll take a gentle hike around the island and sing medieval songs in the ancient abbey where St. Patrick became a monk. Your choice of wine tasting, fine dining, attending a church service or swimming in the Mediterranean while on this bucolic island paradise. ​Day 5: A visit to the French Orthodox monastery of St Michel du Var, discovering the alchemical symbols behind these extraordinary paintings. 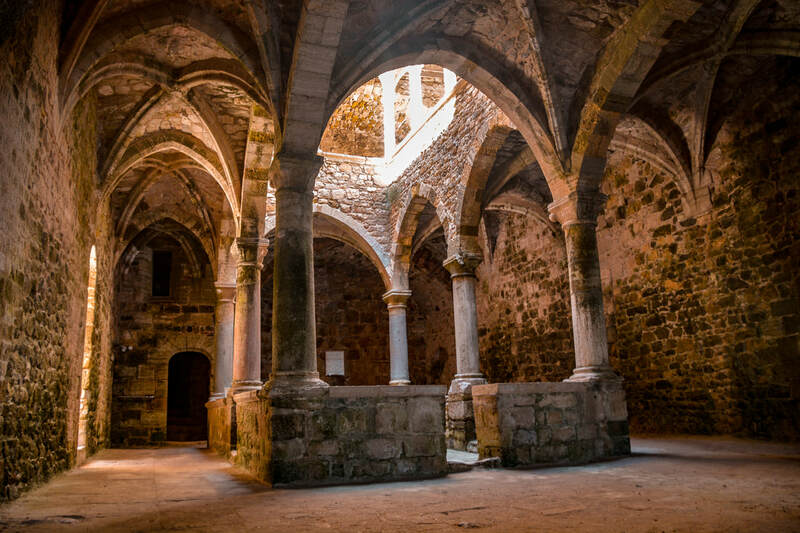 We will marvel at the perfect Pythagorean acoustics of this magnificent monastery as we sing Gregorian chant before a celebration dinner amidst the vineyards and lavender fields of Chateau Berne. clergy, college professors, high school teachers , students of theology and students at Pacifica Graduate Institute. ​Artists , therapists and creative writers are also encouraged to apply. YES! I'd love to come to a Pilgrimage to Provence!